Melissa is a former reporter for Spark magazine. She is a fan of all things fashion, art, and pop culture, and isn’t ashamed to admit she watches Bravo TV religiously. Despite a forecast calling for rain, Arden Fair attendees saw only partly cloudy skies, allowing for hours of shopping, eating and entertainment. Saturday, Aug. 31 marked the 106th anniversary of the Arden Fair. The annual event of all things art brought out a diverse crowd of all ages, including newbies like me. 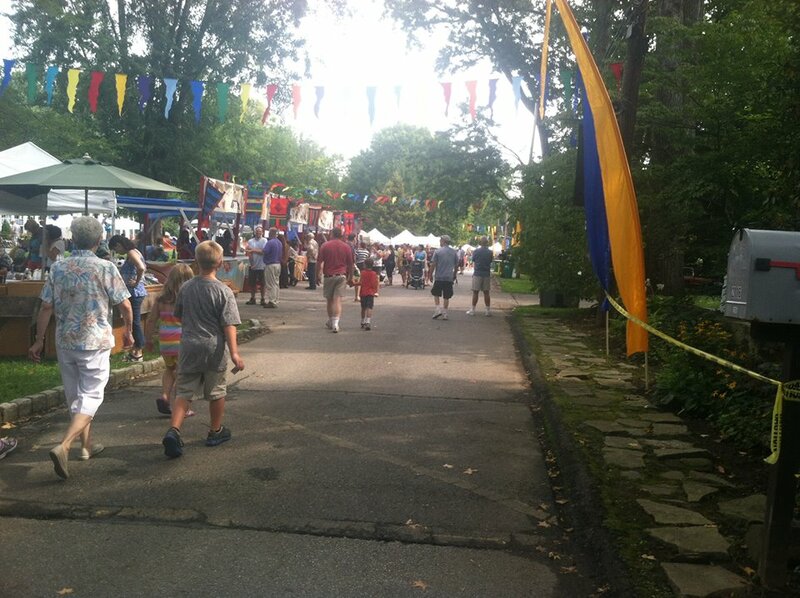 Although I’m a native Delawarean, I’ve never attended the Arden Fair before. (I blame Labor Day weekend trips to the beach.) So I was excited to see the wares of local artisans and partake in delicious midway treats. When I go to an event, parking is my number one concern. I’ve heard how popular the Arden Fair is, so I decided to beat the crowd and get there right as the fair opened. My early arrival meant I could skip the free shuttle buses, and I scored a free parking spot over in the grassy field designated for parking. After parking, I hoofed it on foot over to the fairgrounds, burning calories along the way that would go toward future smoothies and kettle corn. I entered the fair, and made my way down to Shady Grove for the first performance of the day: The Diamond State Concert Band (www.dscb.org). 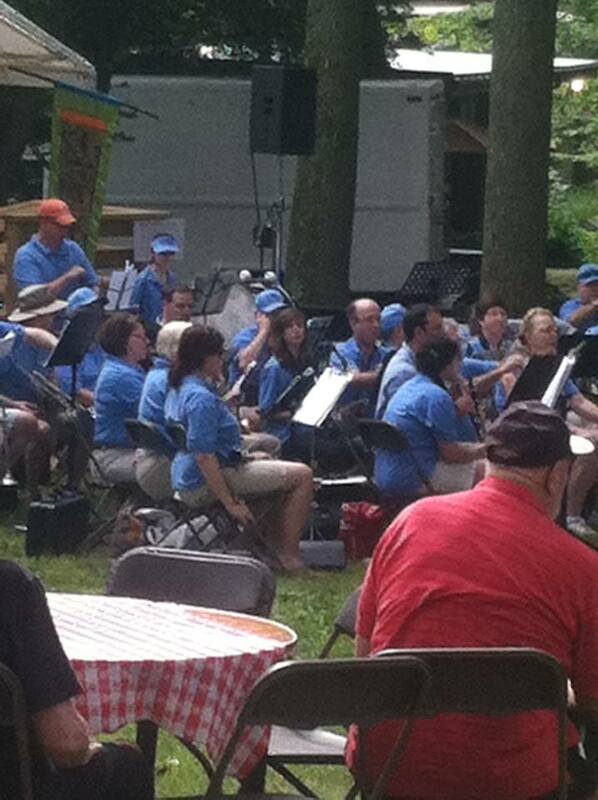 The volunteer concert band treated festival-goers to a variety of upbeat tunes. Unfortunately, classical music isn’t my forte so the names of the songs escaped me. While the music rolled on (the rest of the day’s acts included the Rob Tietze Duo, Kombu Combo, Kwesi Kankam, Stereo Box, Universal Funk Order, New Sweden, The Dreamkillers), I headed back to the vendors for some retail therapy. 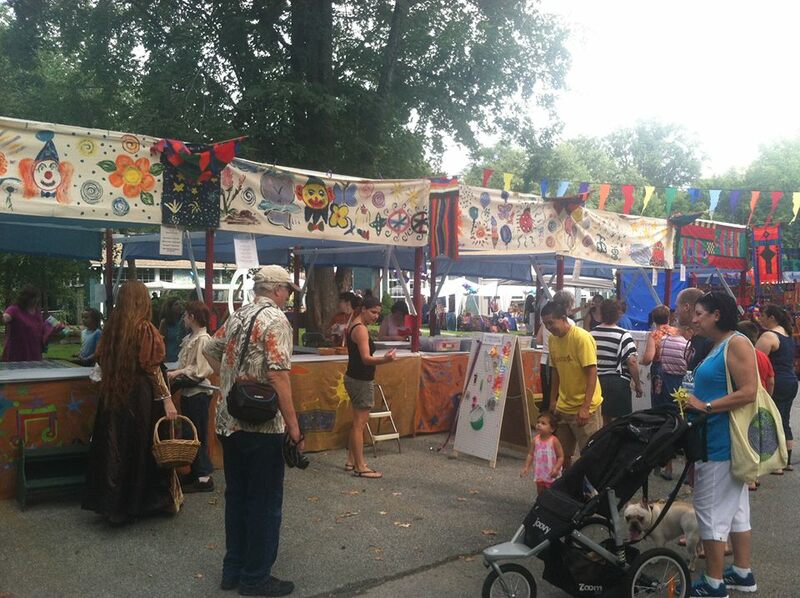 The Fair featured more than 50 vendors, including Sage Tree and the eclectic Second Look Mosaic Creations. If you like to give loved ones (or yourself) unique gifts, the fair offered plenty to choose from: clothing for pets, hats, infinity scarves, sand art, and beer bottle cap art, just to name a few. All of that walking will work up an appetite, and my Arden Fair food favorites were the Kettle Corn ($7 large bag) and fresh fruit smoothies ($3 for a small). The kettle corn was such a hit that I regret not picking up two bags. Oh well, there is always next year! Never been to the Arden Fair either? It’s always held Labor Day weekend. Mark your calendar now for next year (Aug. 30, 2014).